Smith equipment offers commercial quality equipment at residential prices. 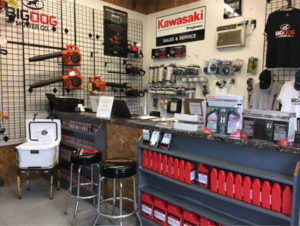 We are proud to carry some of the finest power equipment products in the industry. Whether you need a commercial mower or residential equipment we have you covered! Below are brief overviews for our major product brands. 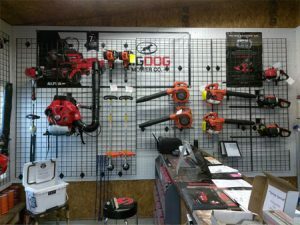 BigDog Mowers are top-of-the-line residential and commercial riding lawn mowers. 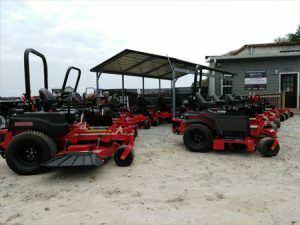 Excel Industries, their parent company created the world’s first zero-turn riding mowers, so BigDog knows a thing or two about manufacturing the best zero-turn mowers on the planet. BigDog mowers are built with fabricated decks and backed by the same quality, technology and customer service that made Excel a leader in the industry. Ybravo.com developed their brand tagline "Simply Professional" to present the positioning of the entire company and brand experience. Ybravo targeted helping professional users, and "west coast style" landscapers. Now Smith Equipment customers can experience the same professional product line of choice. RedMax offers commercial outdoor power equipment for the land care professional. 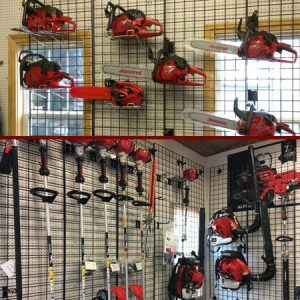 RedMax brand commercial land care products include Trimmers, Brushcutters, Hand-Held & Backpack Blowers, Stick-Edgers, Short & Long Reach Hedge Trimmers, Top Handle & Rear Handle Chain Saws. Jonsered has a rich heritage in power equipment. It is no coincidence that the world's first easy one-man chainsaw was invented in 1954 at Jonsered Sweden, a small industrial village near Gothenburg that has a rich heritage of forestry that goes back generations. Nordic forest communities were for generations populated by professional lumberjacks, the tough men who lived and worked in simple conditions in a harsh climate. Making their lives a little less hard and risky became one of Jonsered's main missions. Now Smith customers can experience the engineering and ingenuity of Jonsered. Tanaka has a rich heritage in developing small engine technology. They were founded as a manufacturing company in 1918 by the founder of Tanaka Iron Works. They began the design and manufacturing of moped engines in 1948. They began marketing their small engines in the United States in 1968. Tanaka began manufacturing 2-cycle engines for the US hand-held power tool markets in 1990. In 2007 Tanaka was acquired by Hitachi to support their power tools division. Smith customers can experience Tanaka's innovation in our product offering. Visit the product sections of our site to learn more about these fine product lines.